You are probably already aware that Invisalign® is a discreet alternative to metal braces. Millions of patients worldwide have already taken advantage of this revolutionary orthodontic solution. At our Monmouth County, NJ dental practice, Dr. Michael Bixby also offers Invisalign® Express, which can accelerate your total treatment timeline by several months. Here, our team explores the similarities and differences between traditional Invisalign and Invisalign Express. We also discuss candidacy, treatment, and maintaining your smile after treatment is complete. Read on to find out if this solution could be for you. How Is Invisalign Express Different from Traditional Invisalign? Before exploring Invisalign Express, we will briefly review the basics of traditional Invisalign. 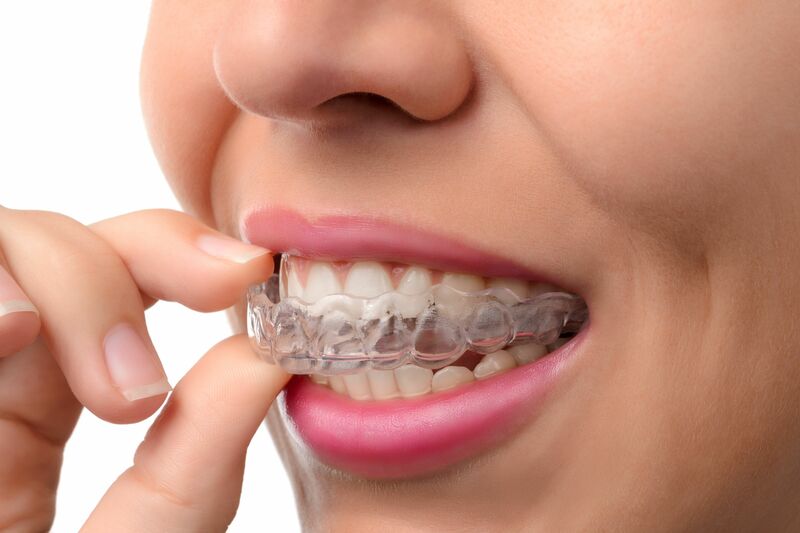 Patients who choose traditional Invisalign can straighten their teeth using thermoplastic clear trays. Approximately every two weeks, the current set of aligners will be switched out for a new pair. The subtle movements will gradually shift your teeth into their correct positions over time. On average, traditional Invisalign requires 20 to 30 aligners before treatment is complete. Invisalign Express essentially works the same way. However, rather than 20 to 30 aligners, treatment can be completed using 10 or fewer trays. Generally, this treatment is recommended for individuals with minor cosmetic issues, such as slight spacing or crowding. In most cases, patients who undergo treatment using Invisalign Express can achieve their cosmetic goals in about six months. Patients who do not meet these criteria may still be able to straighten their teeth with the traditional Invisalign treatment process. The expedited treatment option will simply not be available in cases such as these. While you are undergoing treatment with Invisalign Express, you will need to see your dentist approximately every four to six weeks so that he or she can monitor your progress. In order for Invisalign Express to work successfully, the aligner trays must be worn for at least 22 hours every day. Patients should remove them only to eat, drink, brush, or floss. The aligner trays are so clear that in most cases, others will not even be able to tell you are undergoing orthodontic treatment. Invisalign Express is an excellent solution for adults who do not want noticeable metal braces to stand in their way of everyday life. Some patients wrongly assume that retention is not crucial following treatment with Invisalign Express since the necessary correction was so minor. On the contrary, wearing a retainer is even more important following this expedited treatment, as teeth tend to shift back to their old positions rather quickly. Dr. Bixby will provide you with specific instructions regarding retainer use after your treatment. If you would like to learn more about Invisalign Express, or its traditional counterpart, schedule a consultation with Dr. Bixby today. Call our office at (732) 224-1160 or contact us online.